Here are three short pieces in F major for learning to do Grade 1 piano sight reading. The last one doesn’t have any dynamics; so you can add your own. They are meant to be a starting point; try adding some extra notes here and there to turn them into “hands together” pieces – a chance for your pupils to choose what notes they think would work, and write them in. They could also put in natural signs in front of some of the B flats and see if they like the effect. 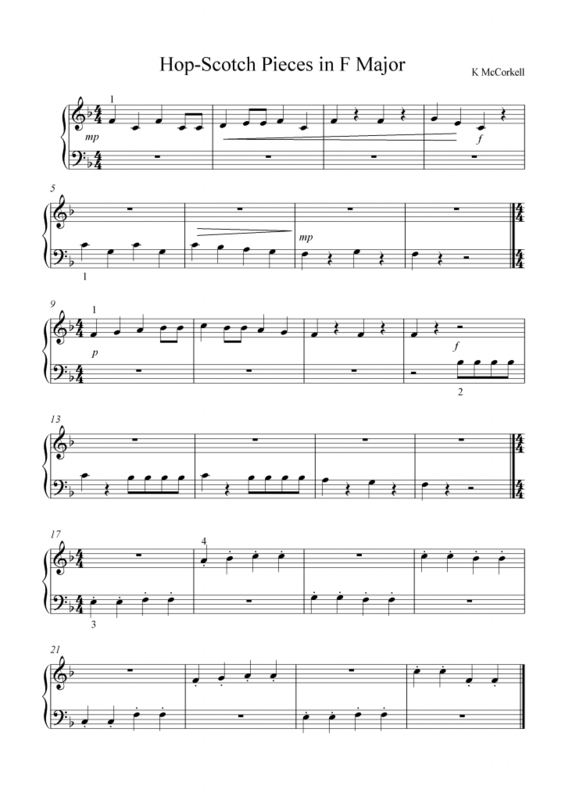 This entry was posted in Piano, Sight Reading. Bookmark the permalink.